Storage innovation is driving the cost per storing a byte of data down, meaning more data can be stored for less. But innovation isn’t limited to sheer raw capacity being increased. 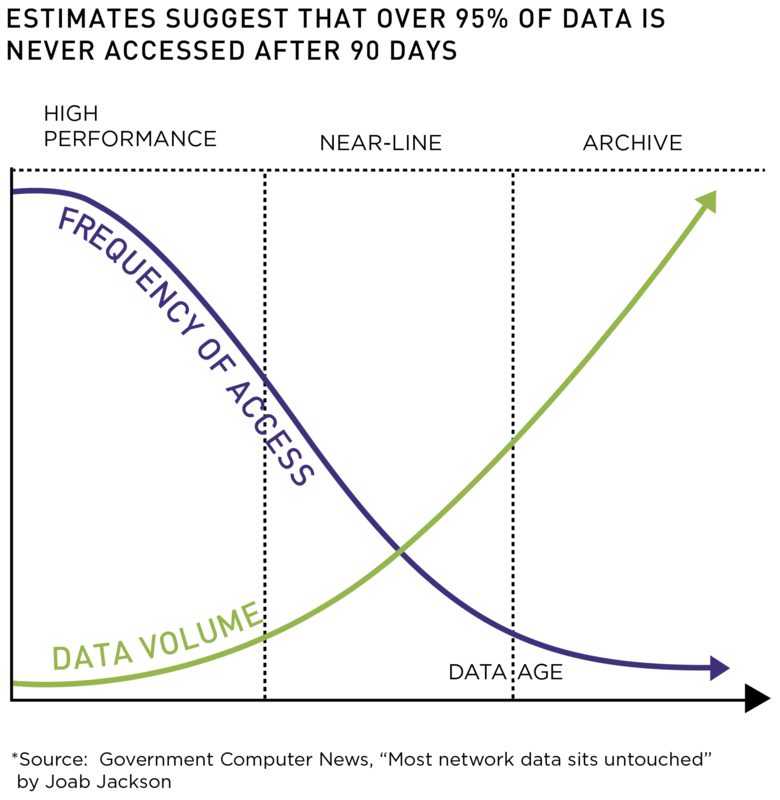 In fact, when you look at retaining data, you need to consider many different ways to look at storage capacity. Advancements in data compression also are part of the picture. Depending on the type of data, compression can help to drive an increase in storage capacity available. Video and music files do not compress due to the random nature of the data. But for other types of data, you can take advantage of the LTO technology’s 2:5:1 compression capabilities. The LTO compression algorithm is completely lossless – meaning it will compress data by default only if the data can be successfully compressed. For example, the “native” capacity of an LTO-8 tape is 12 Terabytes (TB), but it achieves 30 TB with compression. That’s a big advantage when you compare LTO tape with other technologies. SSD typically provides less than 2 TB of native capacity. That’s expensive when you consider cost per gigabyte. Hard disk drives today can offer up to 8 TB of native low cost storage, but it’s still more expensive when you consider cost and the need to raid your systems for data protection purposes.